SAR value is High... and is there anyone using this phone having a problem with any biological problem ?? 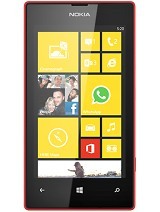 A great phone for just SAR599!!!!!!!! AnonD-281104, 07 Jul 2014what?? no secondary camera? the 625 has a secondary camera.. Why did they remove it on the 630?Because its price is 4k lower thn 625. Vishu, 07 Jul 2014Nokia is not 8GB Internal Memory and No Flash and No Secondary Camera So Please Don't Purchase... moreKeep ur suggestion with u.
khan , 07 Jul 2014Thank you for your response..I think mine will give 14 hours on 2g so its mean mine battery ha... moreYes, u can replace the battery in nokia care. 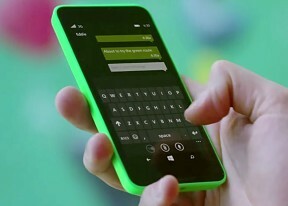 Do u upgrade to the new version of wp8.1? If not then update it. May be that update can solve ur battery issue. 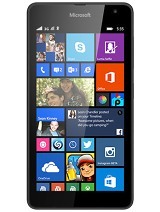 JOY, 07 Jul 2014Hi i am using it from last 20 days. it last more than 8 hours in wifi. I use the phone in offi... moreHM..thanks for your response..mine give only 4,5 hours..its mean it battery have some problem.I bought almost 20 days ago...what should I do with this..any suggestion..
For who has used Lumia 630, is there file manager that can do like AndroZIP in Android? To set ringtones, is this easier like in Android smartphones do (add ringtones from SD card for example)? How about Internet Explorer? Is there forrward function? 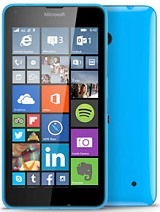 Hi..everyone I bought Lumia 630 almost 15 days ago..everything is fine I love this phone but I am really upset due to battery backup it gives only 5,6 on WiFi..so please tell everyone have the same battery backup or mine have some problem..please give your comments or email me about this issue.i will be thankful to you..luqmanforu@hotmail.com..i need your responce who have this phone please tell me how long your battery backup is on wifi..thank you in advance. 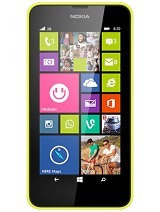 Nokia Lumia 630 : Lumia > is it loomia or leumia?? :-) . But the handset is too good. What an excellent technical specification at 11K. This is called the technology in spite of not having a front camera and headset, everything is there..... They're enjoying much who're using this handset. Anonymous, 07 Jul 2014Am not using wi-fi, so I dnt know about wifi battery backup. M using it on 3g, I get 20 + hour... moreThank you for your response..I think mine will give 14 hours on 2g so its mean mine battery have some problem...can Nokia service solve my problem.. Anonymous, 07 Jul 2014Close app after using it, dnt allow all apps to run in the background, make battery saver on. 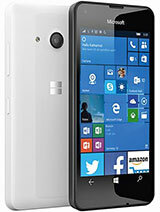 ... moreBro I did the same but its not working..it only give 4,5 hours battery backup on WiFi..what I do..i am too much depressed whith this...reply me ..thanks in advance..
nokia lumia630 there is no bluetooths..